Looking for a carpet cleaning service in Wirral? Dave at Dirtbusters Cleaners is among the most reliable and highly trusted carpet cleaners Wirral has to offer, just check out the reviews below! My name is Dave, and I am a professional carpet cleaner for the Wirral area. I have been cleaning carpets and rugs on and around The Wirral for over ten years, and in this time a lot of things have changed. 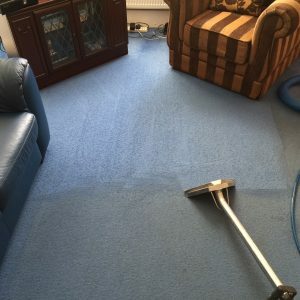 Technology in the cleaning solutions I use to clean carpet has come on leaps and bounds, as have the carpet cleaning extraction systems that I have invested in. When I clean my customer’s carpets and rugs (I also clean upholstery on The Wirral) I use my years of experience and training in order to get the best result possible for my many customers. The Dirtbusters approach is professional, punctual and I clean using only environmentally sound solutions. As well as cleaning carpet for domestic clients, I can also offer a commercial carpet cleaning service across The Wirral too. I also clean fabric sofas as well as any hard surface you may need a professional cleaning job for. This includes tiles (including vinyl flooring, patios or wooden floors. The Dirtbusters Professional Cleaning Service also offers a commercial cleaning service. We have a fantastic history of satisfied commercial customers and I want you to be our next one. Whatever surface you need cleaning give Dave a call for a friendly chat about how I can help you improve not only the impression you make upon your staff and customers but also to the overall air quality of your commercial premises. When I clean carpets or upholstery in your home, these surroundings are treated with respect. Drop sheets are used to protect floors. Eco-friendly cleaning products are used. Over a decade of experience. Approved and vetted by Which? Approved Traders. I am fully trained in professional carpet cleaning and carry treatment risk, as well as public liability insurance. Once I have finished your clean you will be given a complimentary bottle of stain remover. This makes my job easier upon my next visit, as DIY stain removal remedies can hinder the stain removal process. Bebington, Bidston, Birkenhead, Bromborough, Caldy, Eastham, Heswall, Hoylake, Irby, Leasowe, Liscard, Moreton, New Brighton, New Ferry, Noctorum, Oxton, Pensby, Port Sunlight, Prenton, Rock Ferry, Thurnaston, Upton, Wallasey and West Kirby.. Thank you to Dave for cleaning my lounge carpet. Very happy to recommend to friends and family. I was very pleased with the professionalism when I hired the services of Dirtbusters. The bedroom carpets and stairs look really well. We had Dave clean our lounge and stairs today. It looks remarkable! We will definitely use again in the future. Thanks for saving my carpets from being replaced. Dave gave me confidence that the carpet would clean up fine - and it did so and more. How long should we wait until we have our carpets cleaned? It is advised you should (depending on traffic) have your carpets cleaned every 6 – 18 months. 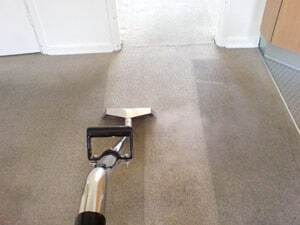 Even thorough vacuuming cannot remove 100% of the dry soil in your carpet, and any dirt that remains or builds up over time will be abrasive and will be like rubbing sandpaper against the fibres, in turn wearing the carpet out prematurely (especially in high traffic areas). My carpets aren’t that dirty? Well as we all know, outdoor air contains a lot of contaminants such as bacteria, car exhaust fumes, cigarette smoke, pollens as well as lots of other horrible things. When you and your family come home you bring these pollutants in with you, the good news is that your carpets and upholstery fabrics filter these nasties out of the air for you, in turn cleaning the air you breathe in your home. Clean your carpet and upholstery regularly to help clean up your ‘filters’! Why do carpet cleaning across The Wirral companies charge different prices? When looking for a carpet cleaning company on The Wirral you need to ask some questions. Are they fully trained and insured? Do they have testimonials from past clients? Are they a franchise? (more overheads to pay for) Is the price a final price? Some companies offer a low price only to add on extras once in your home, you may have seen leaflets advertising carpet cleaning across The Wirral at low low prices. No one can run a business at these low prices and they are always have added costs such as stain removal, deodorising etc. We run our cleaning business on customer satisfaction and are continuously being referred and invited back time and time again. How soon can I use my carpets after they have been cleaned? Our main motive (apart from getting your carpets clean..) is to get your carpets back into use as soon as possible. We suggest they should be touch dry when we leave and dry in just a few hours. Does your stain guard really work? Yes. It is a really good way of protecting your carpeting You have more time to treat any accidental spills and areas with a lot of traffic such as hallways will also benefit from this treatment. I work full time, can I have a clean during the weekend? Dirtbusters understand our customers have busy schedules and so are happy to clean your carpets during weekends. We are fully insured to clean your valuable carpets. Details are available on request. 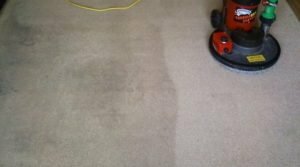 Is dry carpet cleaning better than steam cleaning? Hot water extraction in our opinion (as well as your carpet manufacturers opinion) is the best way to clean a carpet. Ask someone who claims to dry clean carpets how they do it and you will discover it is not actually ‘dry’ but they will be using water! When done properly hot water extraction (or steam cleaning) flush the dirt out of your fibres and will usually be dry in just a couple of hours. We had a leaflet through offering half-price cleaning, can you match that? This is a common scam called ‘bait and switch’. Some cleaners will tempt you with a really low price (usually half price) offer. Once in your home, the price always increases for things like deodorising and stain removal. Dirtbusters believe this should be included in the price and will never charge anything extra. We offer value for money and are continuously being recommended all over Liverpool, Merseyside and the Wirral. What should we do if we have a spill on our carpet? The most important thing to do is you blot up as much of the spill as possible with some kitchen roll. In our experience, most supermarket stain removers simply don’t work (especially with red wine). All of Dirtbusters customers receive a free bottle of stain remover that is chemical free. This will not leave a sticky residue like many other cleaning products do. 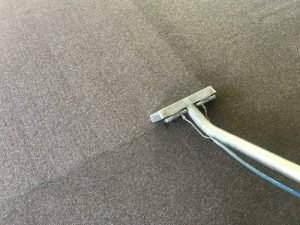 Carpet cleaning prices in Wirral – What are your prices? This depends on the size of the rooms, we believe in value for money and always give an exceptional service at a sensible price. Dirtbusters prices are usually in the middle, cheaper companies tend to use underpowered equipment and may well leave you with wet carpet and upholstery for days, the more expensive cleaning companies simply have more overheads. What else do you clean? Dirtbusters can help you with Jet Washing on The Wirral too as well as Upholstery cleaning and Professional Tile Cleaning. Dirtbusters can clean most surfaces, please ask. 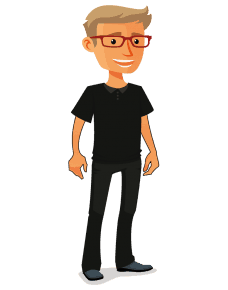 Feel free to call Dave Power on 0151 676 9552 who will only be pleased to help. I also cover all of Merseyside, including carpet cleaning in Sefton.